Aquarius and Taurus is often a challenging relationship to make work. The very low scores represent the initial compatibility of this match. However, you are both strong willed enough to make this work, and if you succeed the scores would be much higher. If you can both adapt to the others style this is a relationship which will improve steadily over time, and eventually rival any other match. The low scores represent only the initial compatibility of this match. 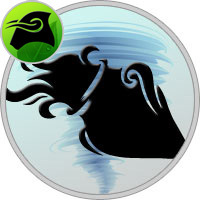 The Taurus has an acute awareness of their surroundings and Aquarius likes the unusual things in life. The first dinner date should be at the most exotic place in town, followed by a trip to the newest club around. A relationship between these two will uncover some differences to be resolved. Aquarius is an unpredictable rebel, usually staring off into tomorrow. This zodiac sign loves to explore and share life with lots of friends. Taurus is not a risk taker, and not much of an explorer. Taureans are stable and secure saving for the future.